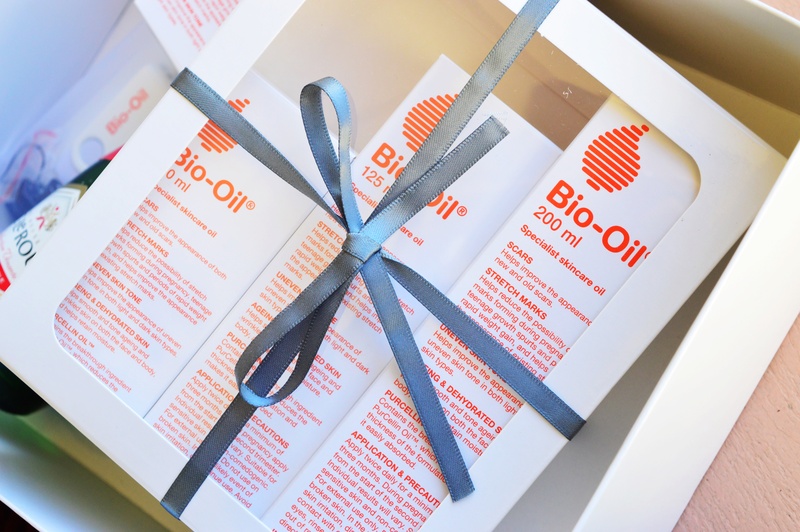 Two weeks ago I joined Bio-Oil at Harbour House in Constantia to celebrate them turning dirty thirty! The iconic brand has celebrated by launching a new itty-bitty size, and they also revealed their new packaging. 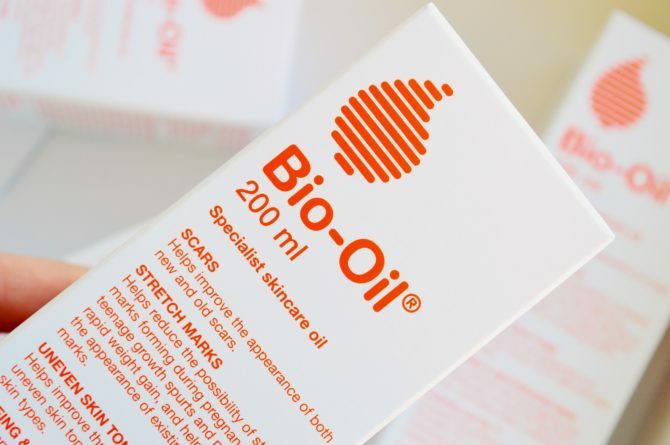 I just referred to Bio-Oil as a “brand” but, actually, they only sell one product. They are such a huge name and, in my opinion, the only product for scarring and stretch marks. It is no wonder they are assumed to be a worldwide brand, and not just a product. Their new packaging focuses on simplicity. The iconic white and orange colours remain, but the grey is gone. 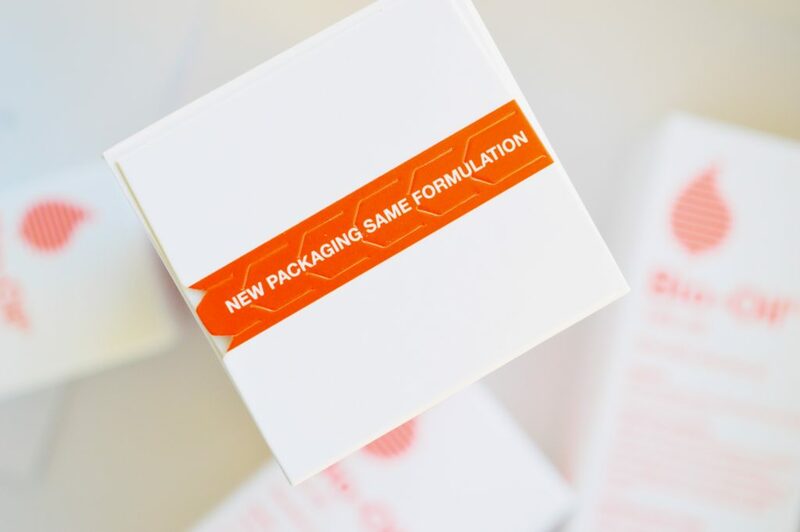 The packaging body consists of the info being printed at the front, leaving it looking more “medicinal”. While at the event, we were treated to some short snippets of interviews. All of these done by South African females who swear that Bio-Oil saved their skin. I should have made my screen debut here, check out my personal scarring story here. Some of these stories were just so heart warming, they got me right in the feels and had me shedding some tears into my steak tartar. As well as new packaging, they have also released a new smaller-than-ever bottle. This means there are now four sizes available. 25ml (R39,99), 60ml (R99,99), 125ml (R144,99) and the jumbo mama 200ml (R209,99). When my best friend fell pregnant I bought her this big bottle! 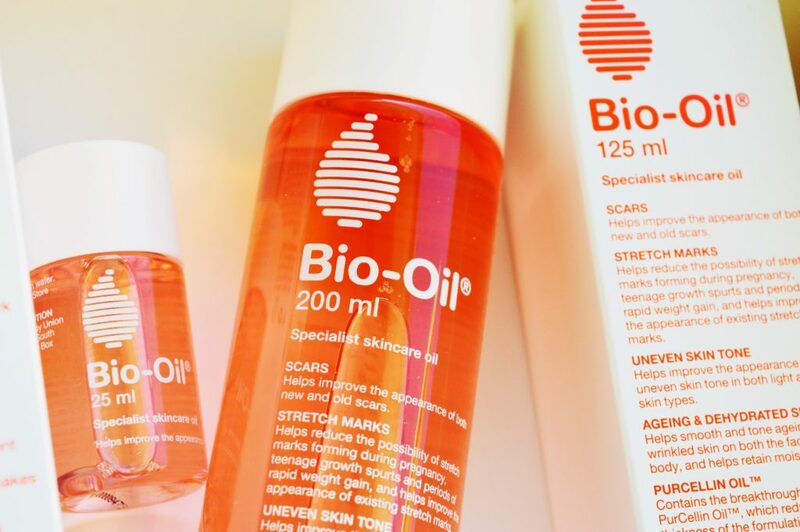 I am sure you don’t need me to uptalk Bio-Oil even more, but just a reminder that they have accumulated 349 awards internationally in the skincare category. As well as local awards such as best body cult classic, best skin healer and so many more. 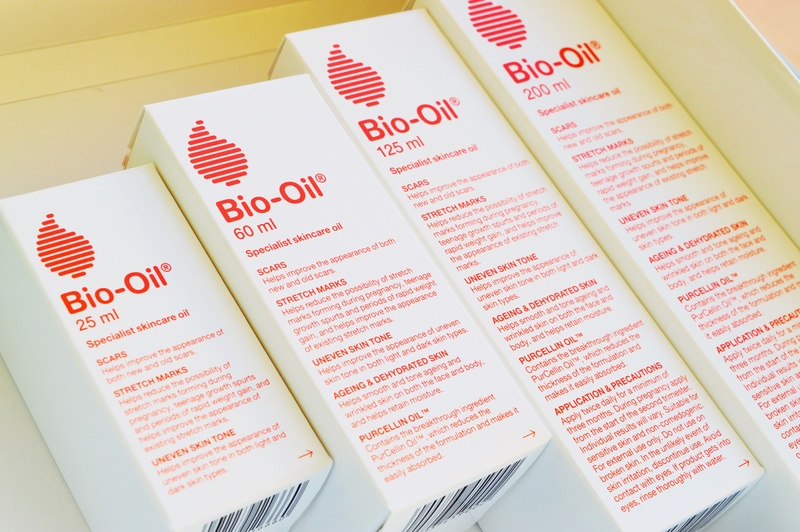 Something I did not know until the event was that so many celebs swear by Bio-Oil; Victoria Beckham, Natalie Portman, Sienna Miller, Queen Kim Kardashian and Princess Kate Middleton. I had to include just one snappy of this GORGE B E N A loungewear gown that was included in the goodie bag. 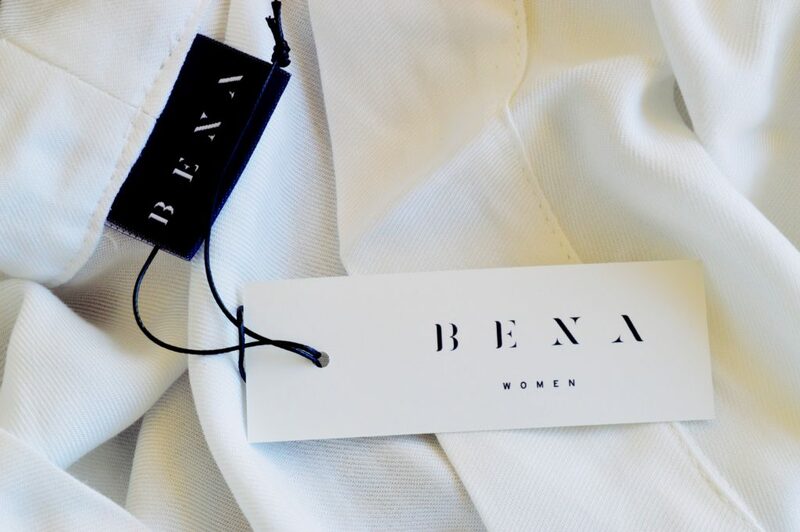 So soft and luxe and I am so chuffed to have discovered a great local loungewear company. The new baby size – and the new packaging – will hit shelves come September. So keep an eye out for it in your local Clicks! I have always used Bio-Oil, dnt know why I stopped. I will definitely go and pick one up after reading this post. I have some insane scars and have been told to use bio oil for such a long time but lugging the larger bottle along on travels was just not working for me. SO thrilled there is a new travel sized bottle! Need to go pick one up asap. I hve 3.5 year old baby, now is it work for my marks? ?